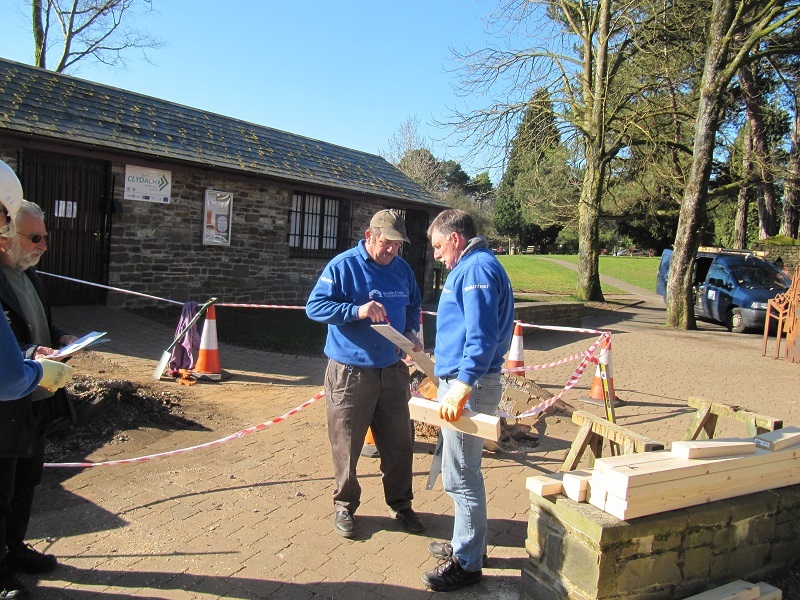 We had a visit today from Richard Preece from SPLASH and Richard Davies from the Parks Department, as well as Keith and Paul from White Water Consultancy, who had come to discuss our new project White Horns Day Care Centre were also with us for their second visit and worked alongside us. 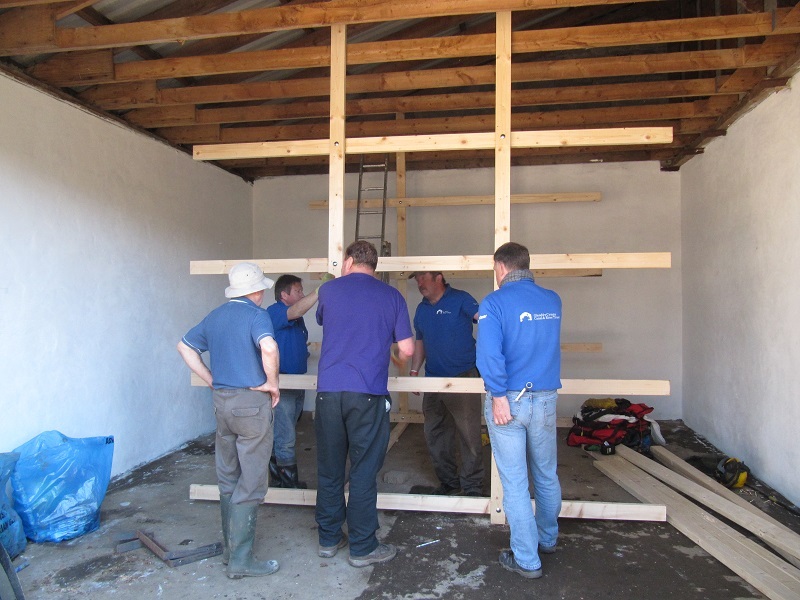 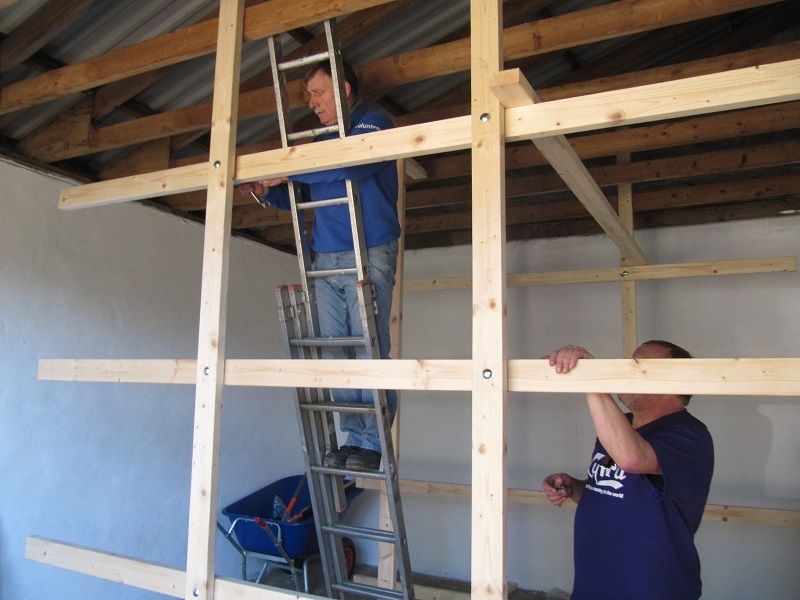 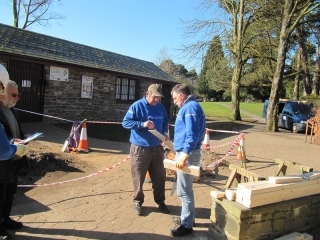 We had a lovely sunny day, and work was started on the racking for the canoes. 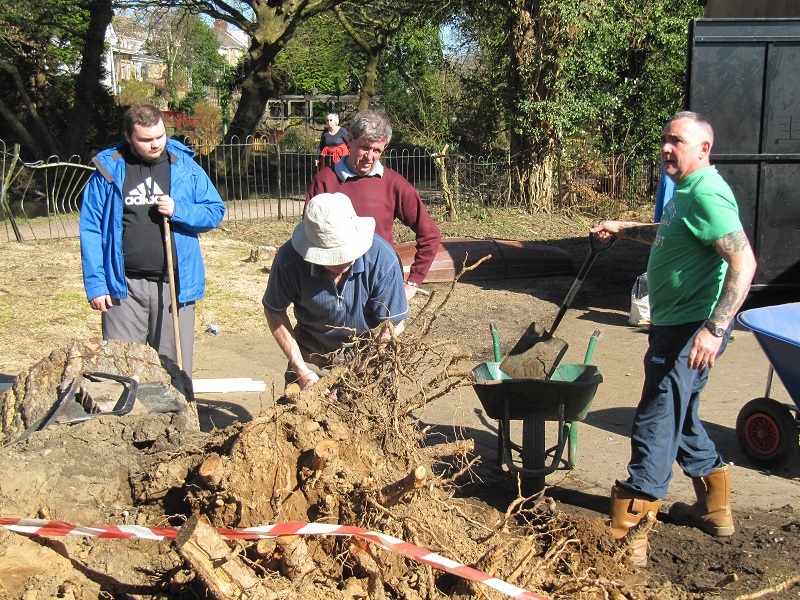 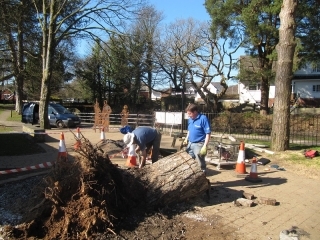 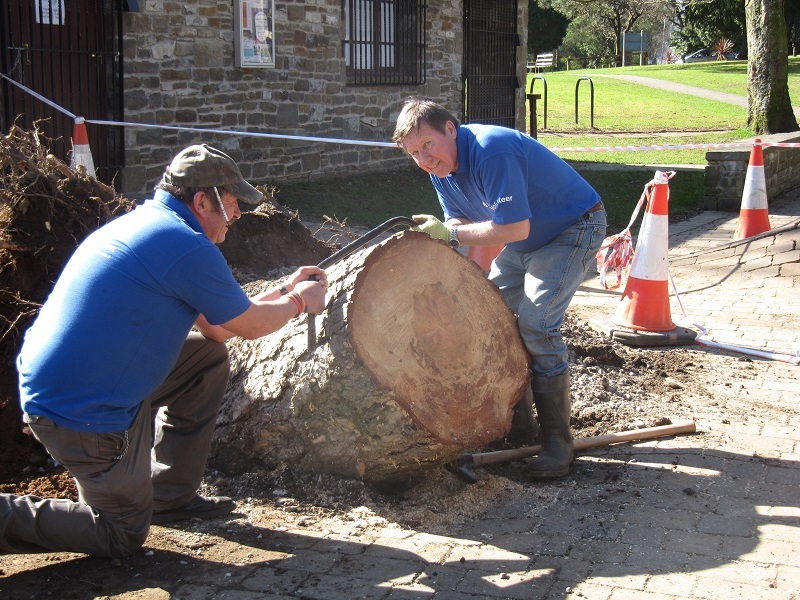 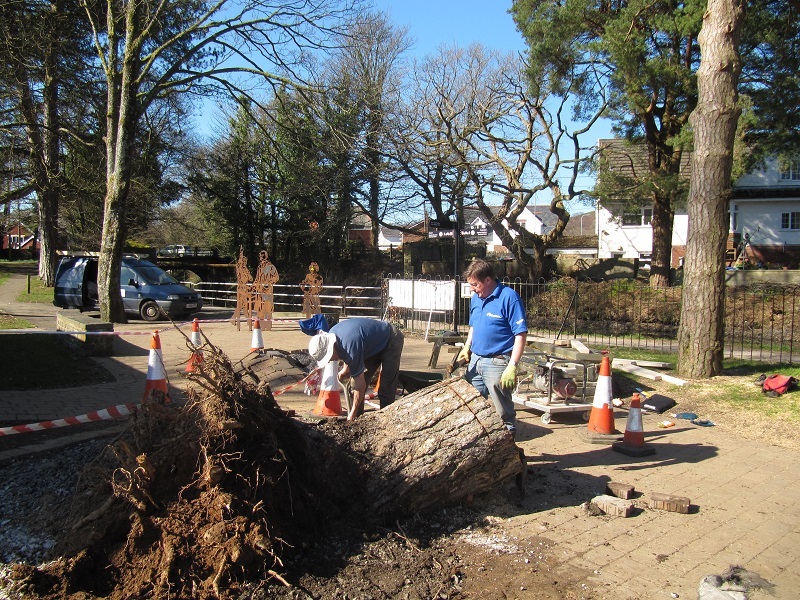 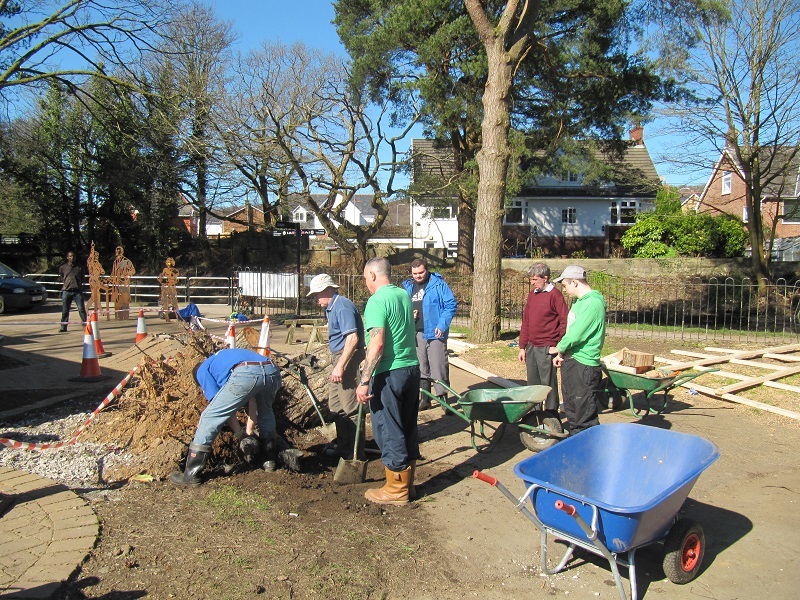 The areas around the remains of the fallen tree were cleared, primroses were planted and silt removed.